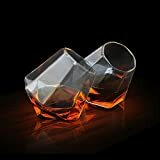 When sipping some of your finest spirits, at least do it from a glass that's worthy enough to hold it like these cool new Diamond Whiskey Glasses. 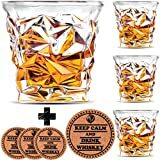 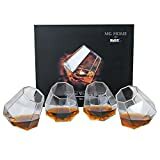 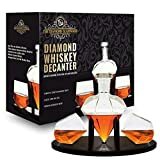 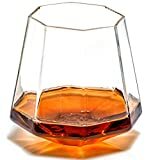 These unique diamond-shaped whiskey tumblers are crafted from borosilicate glass and rest at an angle, allowing you to rotate your booze around to let it breathe and open up the full-bodied flavor and aroma. 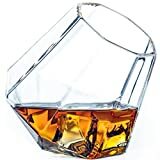 They're also fairly inexpensive, yet look like they're worth their weight in diamonds. 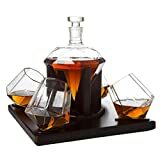 Size: 3.34" x 3.34" x 3.54"